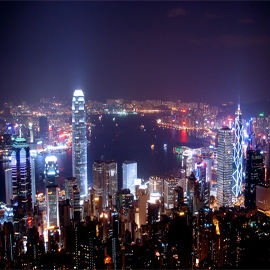 There is a lot to be seen in Hong Kong! 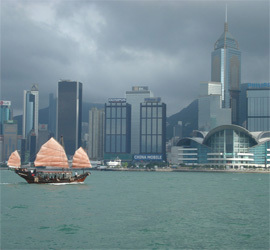 Discover the unique charm of this large city with a very rich history: Enjoy a relaxing cruise on a traditional style Chinese Junk on Hong Kong harbour, then savor the many tastes of a superb Chinese dinner in a famous floating restaurant... 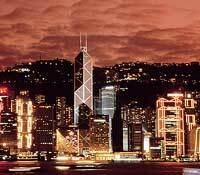 Please review our selection of the best Hong Kong city tours. Enjoy a buffet dinner and a breathtaking view then stroll Temple Street Night Market in Kowloon before boarding a traditional style Chinese Junk from the pier for a relaxing cruise on Hong Kong harbor. After lunch at a local Chinese restaurant, a city tour of Guangzhou is arranged. Visits include The Six Banyon Tree Temple, Memorial Hall of Dr. Sun Yat Sen, an octagonal building designed in a palatial style. Take a day trip to Lantau Island, Hong Kong's largest island, and discover pristine beaches, traditional fishing villages, lush valleys, soaring mountains... Your full day tour includes a visit to Po Lin Monastery, the Giant Buddha. Macau is only 60 kilometers away from Hong Kong and worth well a visit : Enjoy a full day excursion to former Portuguese Macau which used to be the oldest European settlement in the Orient. Since the opening of Hong Kong Disneyland in 2005, the theme park has attracted 15 million guests. The admission price will be HK$350 per adult on weekdays and HK$250 on weekends and peak days.